Takara Tomy's Omnibot 17μ i-SOBOT, a miniature humanoid robot recognized by Guinness as the smallest mass-produced robot of its kind, has been named Japan's 2008 Robot of the Year, it was announced on December 18. The annual Robot of the Year Award was established by the Ministry of Economy, Trade and Industry (METI) in 2006 to stimulate the development and commercial application of robots in a variety of industries. Judges awarded this year's Grand Prize to i-SOBOT due to its advanced technology, its high entertainment value, and its reasonable price of under 30,000 yen (around $300). Equipped with 17 miniature servo motors, the 350-gram (12 oz), 16.5-centimeter (6.5 in) programmable humanoid can walk, play air guitar, dance the hula, and perform 200 other moves. The tiny hobby robot is also equipped with a set of gyro sensors for balance, and it can be controlled via remote control or simple voice commands. The robot runs for about an hour on 4 AAA batteries. In addition to the Grand Prize, this year's Small to Medium-sized Venture Award was presented to "Book Time," an automatic page-turning robot developed by Nishizawa Electronic Measuring Instruments. 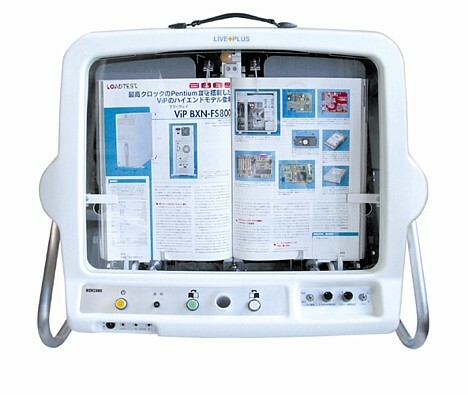 Designed for use in hospitals by people with limited use of their hands and/or arms, Book Time turns the pages of books with either a simple press of a button, a breath-activated switch, or a large button activated by the user's foot. The robot is compatible with a wide range of book sizes and is easy to set up and use. This year's Special Jury Prize was awarded to a rice-planting robot developed by the National Agriculture and Food Research Organization (NARO). 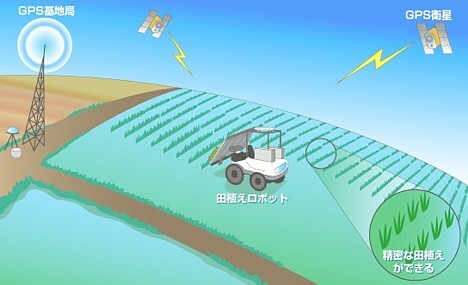 This GPS-equipped machine is designed to assist farmers by working autonomously to plant rice within a set of programmed coordinates. It takes the robot about 50 minutes to seed 3,000 square meters (0.75 acre) of land. Japanese will never running out of ideas to surprise the world. how long exactly do you need to be playing with your robot? more than 3 hours a day?? sounds like you need to buy 2! ....and maybe consider getting some friends that are not robots. iSOBOT is only the tip of the Osaka driven Japanese robot market. I am sure there is a more power friendly version avalable to you, just need to study a bit of the native language! webonauta » Blog Archive » i-Sobot.